Have you ever wanted a goal so badly that you’re driven out of your comfort zone to achieve it? Have you almost reached that goal only to have the bottom drop out, forcing you to rapidly change course? It is hard to stop midstream to reevaluate and change your path, especially if you have a lot of emotion and time invested in achieving whatever needed to reach your goal. I’ve raised puppies with a specific goal in mind, whether it’s that they become therapy dogs, earn advanced obedience or agility titles or become conformation champions. Once my dogs enter my household, they rarely leave, so it’s difficult when my high hopes that they’ll fulfill certain goals don’t work out. I’ve had dogs who had to retire from performance events because of sports-related injuries, had to end conformation careers because of genetic conditions that shouldn’t be passed to offspring, and had to retire from obedience competition because they didn’t enjoy it. One dog was trained to advanced obedience titles when he shut down in the competition ring. Could I have spent time working through his fears? Maybe. When I released my expectation and found an activity he enjoyed, his true nature and joy of life emerged. He never did achieve advanced obedience titles, but he loved agility and quickly attained advanced agility awards. I’ve enjoyed doing therapy dog work but faced some of the same issues. What do you do when you want a goal more than your dog does? It takes some soul-searching, and it can be a personal loss to overcome. I’ve seen trained therapy dogs who didn’t seem to have fun anymore. Maybe they visited too often or didn’t take a break, which is essential for their emotional well-being. Therapy work is both emotionally and physically draining for pets. That one hour visiting a hospital or nursing home, where people’s needs and emotional situations are displaced onto the therapy dogs, can be draining. My own therapy dog will sleep all the way home after a visit. They may not be aware cognitively of what people are saying to them, but they feel the emotional intensity of the various situations. Therapy and service dogs need regular vacations or time-outs to play and just be dogs. They benefit from exercise to release pent-up energy, so they can return to work refreshed. The enthusiasm to run out the door with you for a visit is gone or starts to dwindle. Your goal or desire for success or achievement is higher than the dog’s ability to achieve it. The dog is either suffering from an injury or chronic condition, which may postpone competing in dog shows or events. Returning to shows early may be tempting, but rehab is slow, and the risk of reinjury may end a performance career if the dog is not completely healed. Look into your dog’s eyes during training and evaluate whether you’re still working as a team, or has something changed? Who wants this more, you or your dog? This topic evokes a lot of emotion in me since I’ve experienced many scenarios leading to potentially career-ending decisions. I didn’t make all the right decisions all the time, but I learned from them, which changed my outlook over time. There were many sleepless nights trying to decide whether I made the right decision. I found that if I looked into my dog’s eyes and pushed away my ego and my need to earn a ribbon or award, I came to the often painful truth, the right decision, and I was able to sleep soundly again, knowing my dog’s happiness was placed higher than my own needs or desires. My dog is less stressed and has a higher quality of life. I may be removed from friends with whom I used to share experiences and travel to shows. My dog and I will have to focus on different goals, while saying goodbye to sometimes years of training. I may lose my identity and have to change my preestablished course. 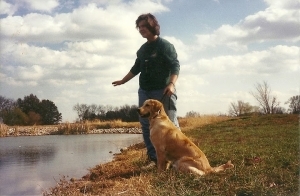 For example, someone once said, “Allison, you usually have an obedience, conformation and agility title on your dogs by now,” after I took a break and changed my normal path. It wasn’t easy to accept, and I felt like a failure. I have utmost respect for people in the dog community who value the human-animal bond and who make their pets a part of their lifestyles. This increases quality of life for everyone, and at its best moments, life doesn’t get any better. But things can change, even subtly, and it’s important to look for the signs that goals may need to be reevaluated. Circumstances change, and we may need to choose a different path. What doesn’t need to change is our relationships with our pets, who are important members of the family and who just want to please us no matter what we do together. After all, it’s the connection we have with our pets that we remember far after the memories of the ribbons or titles fade. This week I faced the fear that many pet lovers experience…the realization that my beloved pet was getting older. I found myself watching every move to “catch” any indication of declining health. My 14-year old dog suddenly became ill and it wasn’t resolving quickly. He had moments of energy followed by sluggishness when I wondered whether a trip to the veterinarian was needed. In the past, many hours have been spent in emergency rooms only to be told everything was fine. Should I risk waiting this time? No, so away we went to the urgent care facility. Waiting for “the news” seemed to take hours. Diagnostics were completed then the veterinarian entered the room smiling as she announced everything appeared normal. I could have given her a hug! I had more time with him. My heart went out to everyone in the waiting room and I hoped they would also receive good news. 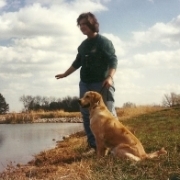 As I nursed my dog back to health, I reflected on the short time we have with our pets. Watching mine brought up many questions. Have I given him a good life…..no, an excellent life filled with love and joy? As he slept peacefully on his bed, he looked like he could not be happier. He has never had high expectations except to be fed, walked and to greet me when I come home. He gives unconditionally with little expectation in return. On his 14th birthday, I gave him an overly stuffed dog bed, which was placed at his favorite spot by my chair. He sniffed it, turned away, and jumped onto my chair instead. I moved the new bed on top of my chair so now he had a truly overly stuffed dog bed. What’s wrong with this picture? Nothing. It’s what we do for our furry kids and it makes us happy. It’s the least I can do while sharing my life with a dog who loves me unconditionally, who sees me without makeup (and doesn’t run screaming), who smiles at me as I leave for the day and jumps up to greet me after a long day of work or gone for 5 minutes to take out the trash. Sharing our lives with pets can be hard. We lose them far too quickly, grieve their loss, then somehow, realize that life isn’t the same without so get another. It is the cycle of life, part of love and sharing. The loss after they go is still worth the time they spent with us. It’s hard to explain their impact on us but we know how empty it feels when they’re gone. Dr. Temple Grandin stated in her book, “Animals Make Us Human” that they teach us life lessons. I have tried to adopt this realization in my daily life. Pets practice mindfulness skills by living in the here and now, which I am reminded of when my Golden Retriever stops to watch a butterfly. How many times have I missed these amazing gifts of nature? Our pets have a keen awareness of their surroundings, maybe because they depend on others to fulfill basic needs. In Dr. Marty Becker’s book, “The Healing Power of Pets,” he talks of how our pets share life lessons if we would only open our eyes to learn from them. It took my dog’s illness to clarify both my fear of losing him and the joy he continues to bring every day. My pets teach me not to be judgmental, to be compassionate, joyful and appreciative of the love I receive and the love I give. They help us become children again – if only for a moment – letting us play, laugh, run and enjoy the silliness of the simplest experiences. Look at the videos shared on Facebook and YouTube. They brighten our days. My cell phone has my favorite dog photos to look at when I need a pick-me-up. Our pets remind us of what’s important in our lives…..the bonds, the special connections we share. It’s what truly makes us human. It’s also what causes grief and despair when faced with their loss. Pet lovers realize that loving also means someday saying goodbye to a beloved pet. As our pets age, the realization often brings fear of the inevitable loss. We are never ready for that moment, which means losing a friend, family member, confidante and someone who has loved you unconditionally without judgment. When this time comes, it’s important to reach out for support, whether it’s a friend, family member, counselor or support group. Don’t struggle alone. Pet lovers may hear others make light of their loss, so it’s important to find empathetic people who will listen without judgment. Acknowledge your feelings and don’t deny the impact your pet’s loss is having on your life. Take care of yourself! Make sure you get enough sleep, eat and take extra time just for yourself. Many people feel that they must “get over it” quickly without facing the true depth of the grieving process. Our situations are unique so there is no standard time in which to “get over” the loss. There are many pet lovers willing to provide support so reach out and ask for what you need. The human-animal connection is powerful and the joy, love, companionship, fear, loss and the whole emotional connection adds another dimension to life that’s difficult to replicate. Our pets teach us lessons if we take time to listen. Pay attention to what they’re telling you in subtle ways as you share your life with a pet who loves you the way you are. As we honor their lives, we also honor their memories. When it comes time to say goodbye, you will have received the greatest gift …the deep love and affection of a faithful companion. Those memories will stay with you forever.